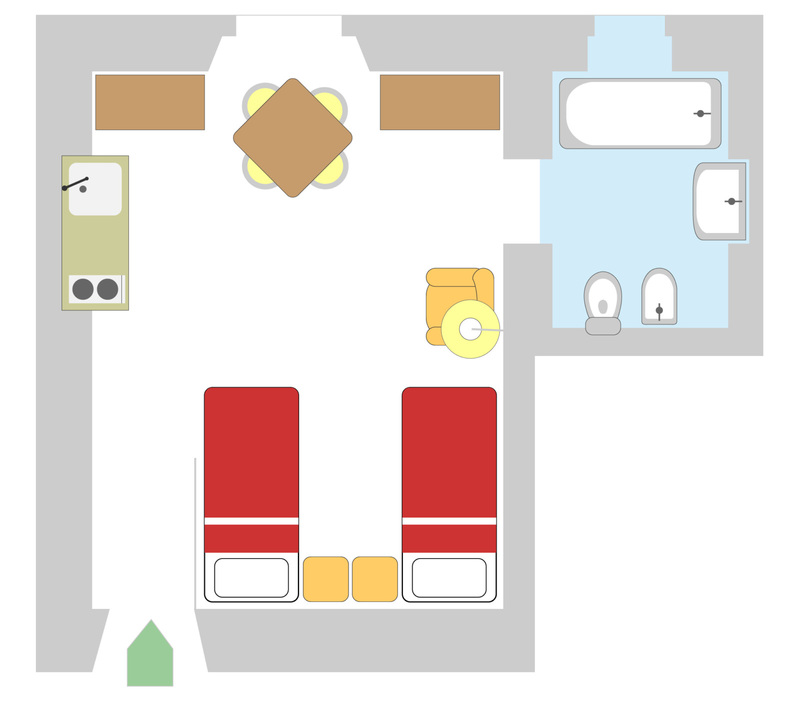 Studio Basic is characterized with a main room with 2 beds (or double bed), kitchenette, table/desk and a bathroom with bathtube. 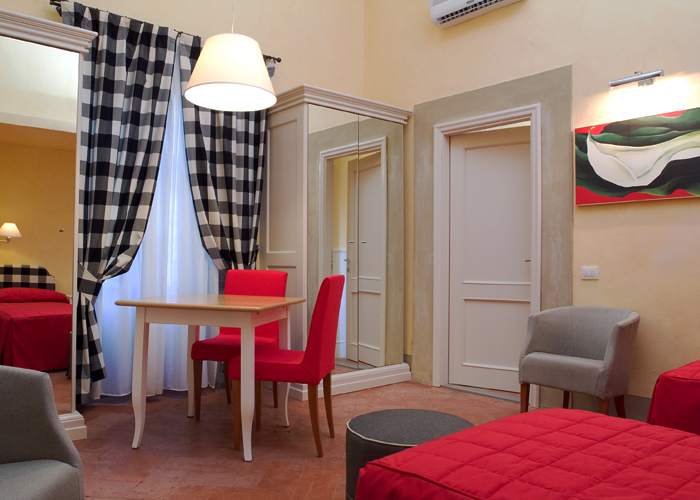 Silent, elegant and furnished in a classic but contemporary style, is facing our inner courtyard. Internet Wi-fi included without any extra costs. 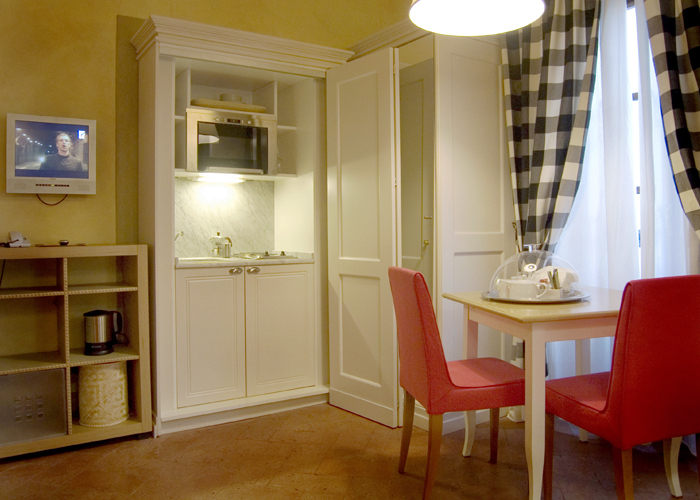 Kitchenette with fridge, microwave, electric boiler, espresso coffee machine and various dishes.